Buying a didgeridoo at Didgeridoo Breath is easy... and fun! Didgeridoos that look, play and sound great! "Hello didgeridoo breath team. I ordered my first didgeridoo 1 week ago and I am very impressed. The packaging was great and when I opened the box I was speechless. I just wanted to say thanks for a quality didgeridoo." New to the Store? Click play on the video below to take a tour of the shop with Sanshi. Didgeridoo Basics: What is a Didgeridoo? 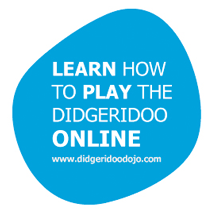 Click play on the video below from our Didgeridoo Dojo online learning portal where Sanshi explains some of the Didgeridoo Playing Basics, Didge History and demonstrates how a Didgeridoo is played. If you're just learning to play or a beginner and not sure which didgeridoo to buy then check out our Didgeridoo Starter Packs, perfect for learning to play the didgeridoo. Enjoy shopping for your new didgeridoo and please, if you have any questions before buying, email us at [email protected] or fill out the enquiry form on our Contact Us page. YES... we ship to EVERY country in the world! YES..Worldwide Shipping! Are you a beginner or want to learn to play the didgeridoo? Not sure which didgeridoo to buy? Try our didgeridoo starter packs! Hand-selected, easy to play, great sounding didgeridoos. Click here to choose yours.Alternatively, spendd some time going through our Didgeridoo Buying Guide. The first video in the series is below to get you started. 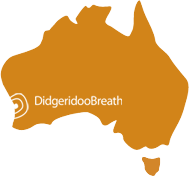 Didgeridoo Breath proudly offers you the worlds largest range of Australian Eucalyptus Didgeridoos for sale from the worlds most recognised and reputable Didgeridoo craftsmen. You have come to the right place to buy an authentic Australian Eucalyptus Didgeridoo or Yidaki. You can find beautifully crafted didges by talented craftsmen. You can also choose from a wide selection of hand-painted & natural finish didgeridoos. "Hey guys, thanks for the swift delivery of my new Earl Clements didge. Arrived safe and sound. Was pleasantly shocked when I unwrapped it as it well and truly exceeded all my expectations. WHAT A DIDGE!! Beautiful! Thanks once again. Your customer service is exceptional and it is always a pleasure dealing with you guys. Will visit again shortly. Didge up!! Our online didgeridoo store offers you the best range of termite eaten Eucalyptus didges for sale. Buying a didgeridoo has never been easier. Enjoy exploring our online shop and happy shopping! 5 star average rating based on 30 reviews.